“I have a dream that one day this nation will rise up and live out the true meaning of its creed: “We hold these truths to be self-evident: that all men are created equal.” Dr Martin Luther King Jr.
No matter who the President is, what political party they were the candidate of and no matter if I supported them during their campaign I always try to partake of the inauguration. Today was like that, though this year I was on the road between Virginia and North Carolina and listened to the ceremony live on radio as I made my trip. Radio is a wonderful way to take in a live event, be it something like today’s events as well as a baseball game. Radio forces you to actually listen to what is being said as well as use your imagination to envision the events themselves. If you are present at the actual ceremony you may not hear what is being said, or miss significant parts of it simply because of the way that sound travels, audio distortions and things happening nearby that distract you even as you take in the visual wonder of the event. Television is a wonderful thing that allows us to see an event live and can enhance our experience of it, but often it can be full of distractions. Radio on the other hand forces us to imagine the spectacle of the event as well as the actual words spoken. I watched President Obama’s first inauguration with a very sick and elderly African American woman in the ICU at Naval Medical Center Portsmouth. 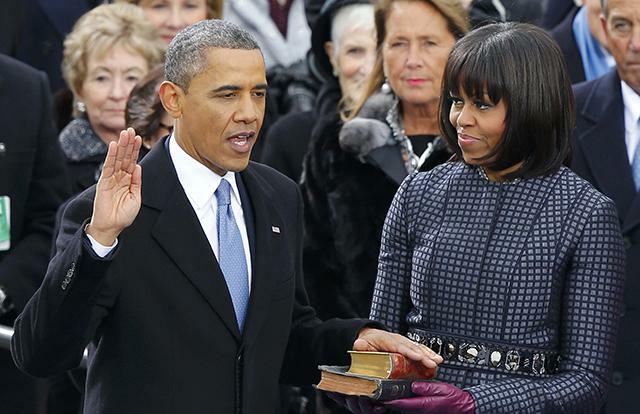 She held my hand as he took the Oath of Office and during his speech. She was in tears as she had lived through segregation, routine abuse by white people in the South, being treated as less of a human being on the basis of her race. She had lived the beginnings of the Civil Rights movement as a contemporary of Dr King. For her it was something that she never believed could happen in her lifetime coming true. It was at that moment I really began to appreciate the full impact of his election, what it meant to this dear woman, and what it meant to so many people. It was a watershed moment as she did not want me to pray for her medical condition, which was not good, but to pray with her for the new President. 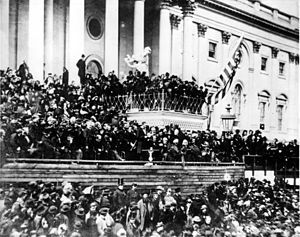 The speech which touched on a number of potentially divisive issues echoed that of Abraham Lincoln’s Second Inaugural Address and the Gettysburg Address. It was an appeal to freedom, freedom for all and also the responsibility of each of us in the that endeavor. His words near the end of the speech made that clear and he acknowledged the reality that American statesmen such as Washington, Lincoln, Theodore and Franklin Roosevelt and Ronald Reagan understood so clearly. 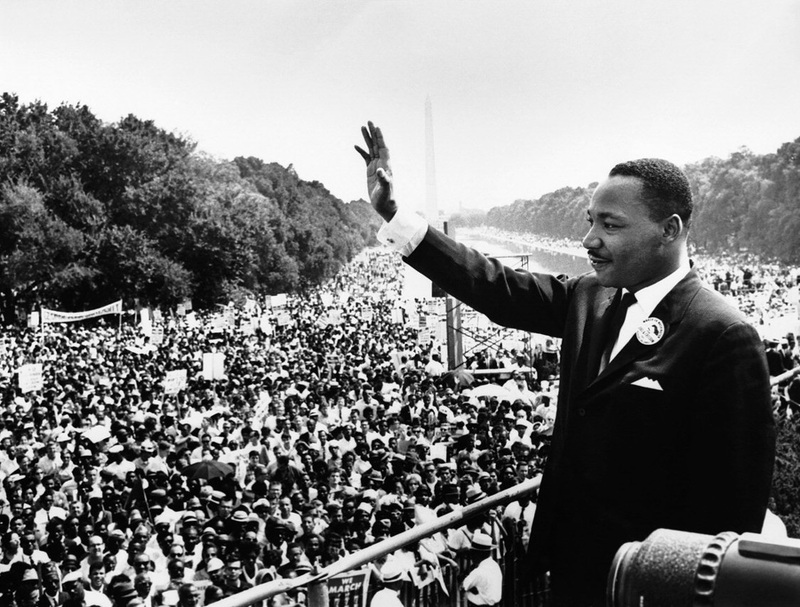 Somehow it was fitting that the inauguration was held on the observed holiday of the Birthday of Dr Martin Luther King Junior and in the 50th year of his “I Have a Dream” speech on the Capital Mall. Having walked that Mall, and made numerous visits to our Nation’s capital I could picture these speeches, not just today’s speech by President Obama, but those of past Presidents, those that I have heard, seen or read as well as Doctor King’s speech. I do not have to agree with every policy of a President to support them and pray for them as President. Today as I listened to both the President and Vice President Biden take their respective Oath of Office I was reminded of the Oath that I and those that serve in the Military take and then as I listened to his speech I heard the President refer to those similarities and the responsibility of all of that take it. After the ceremony was over I spent some time thinking about the closing words of Abraham Lincoln’s Second Inaugural Address and pray that we will be able to fulfill those words in our lifetimes.